Every once in a while, a low-budget horror film comes around that pleasantly surprises me. 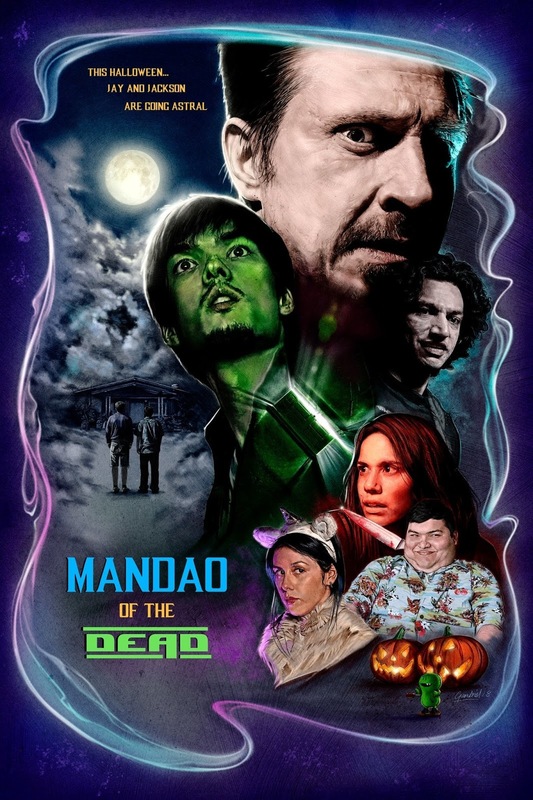 Amidst the endless stream of rehashed storylines and cliches that permeate the horror genre, Mandao of the Dead dares to do something different, and delivers a laugh in the process. Jay Mandao (Scott Dunn), an heir to modest royalties from his late father’s once-booming cereal industry, begrudgingly takes in his goofy and unambitious adult nephew, Jackson (Sean McBride). Jay begins to have strange dreams that he soon learns are astral projections, and when Jackson’s failed attempts to win back his ex-girlfriend go horribly awry, Jay discovers he can use his newly found powers to communicate with the dead, time travel, and potentially save lives—but only for a short period of time on Halloween. I’ll let that one sink in a minute. The synopsis alone may sound absurd enough to scare people away. 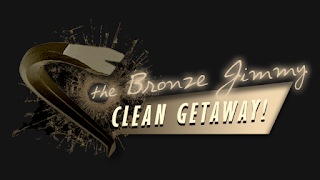 It’s not often you hear of an astral projection-themed, Odd Couple-esque horror comedy. It sounds a little silly, and it admittedly is, but you know what? It works. Writer, director, and star of the film Scott Dunn manages to make a tight, cohesive, and creative film out of the most implausible of premises. While not all of the jokes land, the comedy is steady enough to keep audiences smiling and engaged, assuming they can handle some occasional low-brow humor (“Why do your fingers smell?”). This indie film doesn’t have the polish of a studio endeavor, but Dunn’s directorial choices are strong enough to make the audience forgive its transgressions, which is often challenging for a production like this. Although the main characters take a minute to warm up to, once we settle into their dynamic, they are entertaining to watch—doubly so for the rest of the small, offbeat cast of supporting actors. For example, characters like Darth (David Gallegos), an admirer of Jackson’s ex, has an enthusiasm about his dark proclivities that prevent him from becoming a stereotype. Every character is well-conceived; the only minor exception is Jackson’s unwavering naivete becomes mildly grating at times, but that alone is not enough to sully it dramatically. Weighing in at a mere 1 hour and 14 minutes, Mandao of the Dead has virtually eliminated all chaff and is consistently enjoyable throughout. There is something commendable about a film that doesn’t strive to meet the coveted “90 minute minimum” that seems to be industry standard, often to the detriment of some films’ pacing. This film is snappy, which is imperative to its success as a comedy. Mandao of the Dead knows exactly what it is, and it does it well. It is not trying to be overly ambitious or important, nor should it. For a small, low-budget film, it is unapologetically weird and downright charming at times. If you are a comedic horror fan that doesn’t mind a film that’s heavy on the comedy and light on the horror, you will have a good time with this one.